Schibi Heating and Cooling offers complete air conditioning installation, repair, and maintenance. Get your home ready for the summer! Schibi Heating and Cooling offers complete heating installation, repair, and maintenance. Call (513) 385-3344 today to learn more! Ductless HVAC is an energy efficient way to heat your home. Call us today at (513) 385-3344 to see if a ductless system is the right solution for you. Schibi Heating and Cooling perfects indoor comfort through a rewarding selection of energy-efficient boilers. Call us today to get started! Want to learn more about our happy customers? Have something you'd like to say? We love to hear about your experience with Schibi! Click on any of the following links to leave or read our reviews. 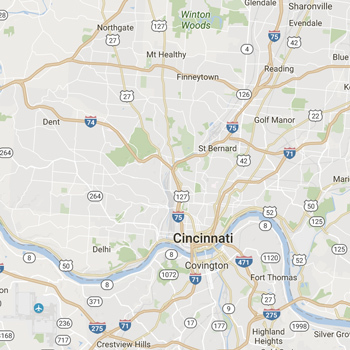 Schibi Heating and Cooling is proud of both our heritage and our present commitment to serving our clients in the Cincinnati Metro area. We provide skilled maintenance and repair of all major brands of heat pumps, ductless systems, boilers, furnaces, air conditioners and more, and are on-call 24/7 to handle emergencies without delay. For new installation and retrofit projects, we specialize in a wide range of industry-leading and proven products to deliver perfect comfort, greater control over your indoor environment, exceptional reliability, and cost-savings. As a Bryant Factory Authorized Dealer, Schibi Heating and Cooling continually enhances our product line and educates our knowledgeable staff with the latest technological advancements. Throughout the past 82 years, Schibi Heating and Cooling has steadily maintained the highest degree of service and expertise, while continuing to insist on the utmost level of honest and ethical business practices. We’ve assembled a team of factory trained, NATE-certified, and dedicated professionals with decades of collective, comprehensive knowledge and experience. If you need HVAC repairs, maintenance, and installations done right, call Schibi Heating and Cooling! Contact Schibi Heating and Cooling at (513) 385-3344, and we’ll put our extensive resources to work for you, completing all jobs properly, quickly, and to higher standards of quality. From the products and services we provide to punctual arrival and organized job sites, Schibi Heating and Cooling delivers long-term satisfaction throughout White Oak, Monfort Heights, Bridgetown, Delhi Township, Springdale, Sharonville & Blue Ash, OH & the Tri-State area.